The United States conducted an airstrike in Somalia Tuesday after U.S. and partner troops came under attack. The incident occurred 37 miles west of Mogadishu, the country’s capital, in the central Somali village of Mubaraak. U.S. troops were participating in a “Somali partner forces-led operation against al­ Shabab, an al-Qaida-affiliated terrorist group,” according to a press release from U.S. Africa Command Thursday. The airstrike was conducted against an enemy fighting position after the joint patrol had already come under fire. AFRICOM reported that two al Shabab Islamist militants were killed in the strike, and one other militant was wounded. The 10-year-old combatant command has been based in Germany since its creation, a set up one senator called "disjointed." However, one Somali partner force member was killed during the operation and two others were wounded in action. 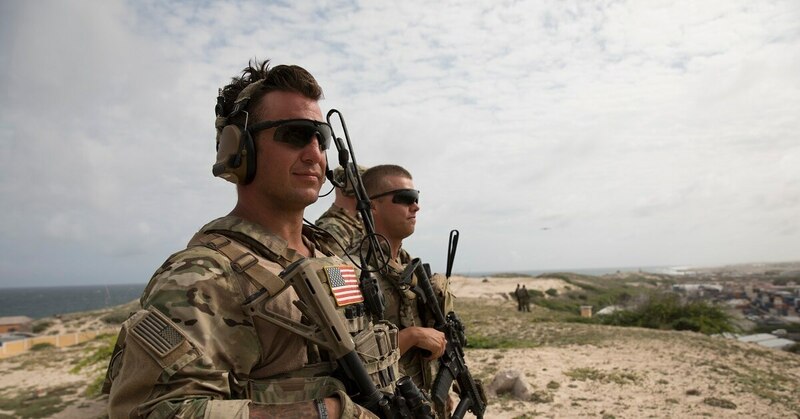 U.S. forces have increased their operations tempo in Somalia over the past year. The United States has carried out more than 20 airstrikes against al Shabab in Somalia in 2018. Special operations forces have also been rotating through the country for several years to bolster local and regional forces. AFRICOM officials have previously told Military Times that the U.S. footprint in Somalia stands at about 500 troops. American forces serve as front-line advisers to a United Nations-backed Somali government struggling against rebel factions across the country, particularly in rural southern areas. The U.S. military partners with the African Union Mission to Somalia, or AMISOM, during combined counter-terrorism operations against al Shabab training camps and terrorist leadership. The African Union has a combined contribution of roughly 22,000 personnel in Somalia. By comparison, al Shabab has an estimated strength of 7,000 to 9,000 fighters, according to the Council on Foreign Relations. In early June, one U.S. soldier was killed and four more were wounded during an attack by al Shabab militants that consisted of small-arms fire and mortars. That attack occurred in southern Somalia’s Jubaland region. During that mission, the U.S. troops were working to “clear al-Shabab from contested areas, liberate villages from al-Shabab control, and establish a permanent combat outpost designed to increase the span of Federal Government of Somalia security and governance,” AFRICOM said in a statement after the soldier’s death. Al Shabab remains a serious threat for the Somali government, which has weak authority within the country and only regained control of Mogadishu in 2011. The group has been able to use Somalia as a haven from which they launch attacks on neighboring countries, such as Kenya and Uganda.